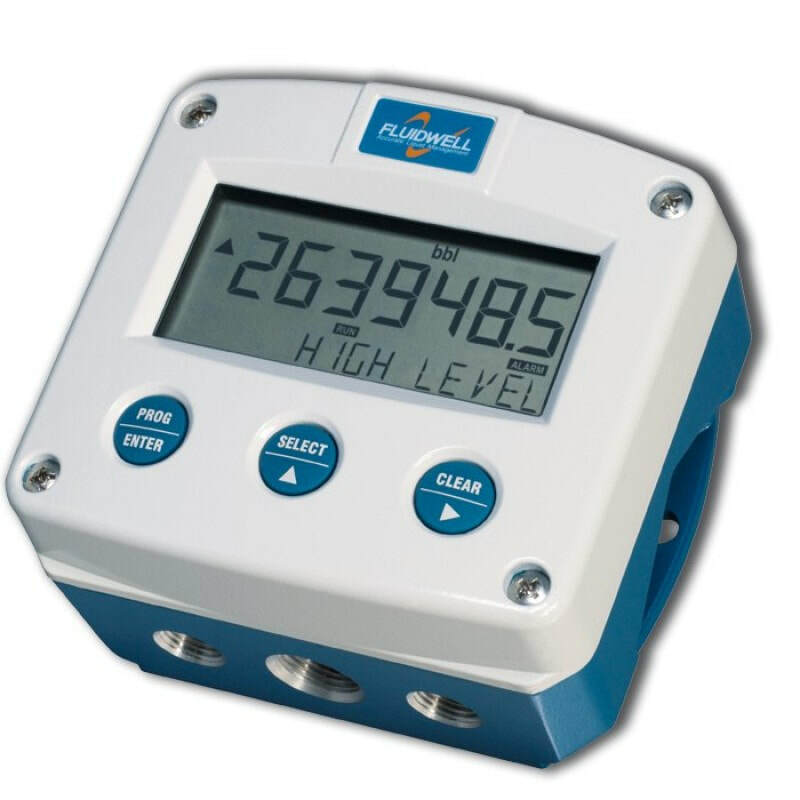 The F-Series product range offers you an extensive selection of field mount indicators, controllers and monitoring systems for flow, level, pressure and temperature measurement in safe and hazardous area applications. The Fluidwell F090-A-PL Field Mount general purpose indicator is an economical loop powered indicator with very large 26mm (1″) high digits. The measuring unit to be displayed is simply selected through an alphanumeric configuration menu. No adhesive labels have to be put on the outside of the enclosure: a weather proof and user-friendly solution! The F090 has a robust IP66, IP67 (NEMA Type4X) field enclosure that makes it so tough, you can easily stand on it without damage! Intrinsically Safe available is available with this model – ATEX, IECEx, FM and CSA approval for gas and dust applications. Programming the F090 can be done by your own team, with the sensible menu-driven structure, saving money, time and irritation. Know one, know them all! The F090 has very diverse mounting possibilities: walls, pipes, panels or directly onto outdoor sensors. If you need five or more F Series units, please contact our team of experts for a quotation. The Fluidwell F090-A-PL is an economical loop powered general purpose indicator with large 26mm (1″) high digits.